Brother/Sisters : 3 Brothers and 1 Sister (Bibi Gurcharan Kaur). After the Shaheedi of Bhai Avtar Singh Brahma, Bhai Gurjant Singh was appointed the new commander in chief of K.L.F. His father – Jathedar Nashatar Singh had a common farmers living. Sikhi was flourishing in the family for generations. Gurjant Singh had three brothers and a sister, he was the third-eldest out of the sons. He only studied to the 5th grade and he had to leave his studies, as his family needed him to work, as they were not that well off. Bhai Sahib was religious from a young age and met Sant Jarnail Singh Jee Khalsa Bhindra Vale on numerous occasions. He started helping around the house and started farming along with his brothers on the family farm. He never tired doing work and never lost faith whilst the family went through hardships, but was always in Chardi Kala. 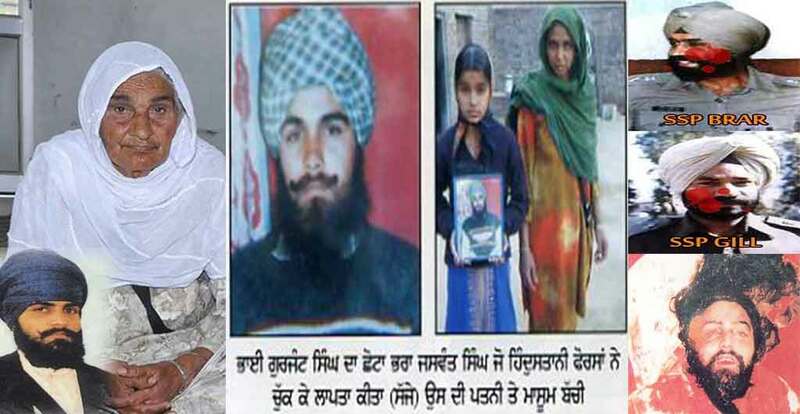 The governments carnage reached the Moga area and the Bibi Kahn Kaur Gurdwara was surrounded by armed police, indiscriminate firing was opened on sangat and many were drenched in blood and attained Shaheedi, Bhai Sahibs paternal grandfather Bhai Kehar Singh was one of the Shaheeds of this incident. Bhai Sahib had much affection for his grandfather. The Shaheedi of his grandfather had a deep effect upon his tender heart at the age of 18 years. The government tyranny making its way throughout the Moga area, arrived at Bhai Sahibs village. Bhai Sahib was arrested and imprisoned in Ferozepur jail for one and a half years. Bhai Sahib had just been released from jail when the police re-arrested him and his brother Bhai Jagroop Singh for murder. In the ensuing interrogations of the police both Bhai Sahib and his brother were tortured severely. When they were released after 8 days of torture, they both could not walk, they both got home in the evening. On the same night the police again entered their house and took their father, brother and paternal uncle into custody. Bhai Sahib, after undergoing all this oppression and torture decided to live the life of serving the Panth and left his home, to protect and fight for the rights of the people of Punjab. A tornado of fighting for justice was invested within him, after undergoing torture and oppression at the hands of the authorities. From the outset Bhai Sahib worked alongside Bhai Varyam Singh Khapia Vale – after his Shaheedi, Bhai Sahib worked under the leadership of Bhai Aroor Singh of K.L.F. Slowly, slowly Bhai Sahibs fame grew due to the missions he completed and the enemy started to fear for their safety. When the enemy used to hear the name of Bhai Sahib they used to shiver with fear. After the Shaheedi of Bhai Avtar Singh Bhrahma in 1987. Under Bhai Sahibs leadership K.L.F completed numerous successful missions and became one of the leading freedom fighting outfits. 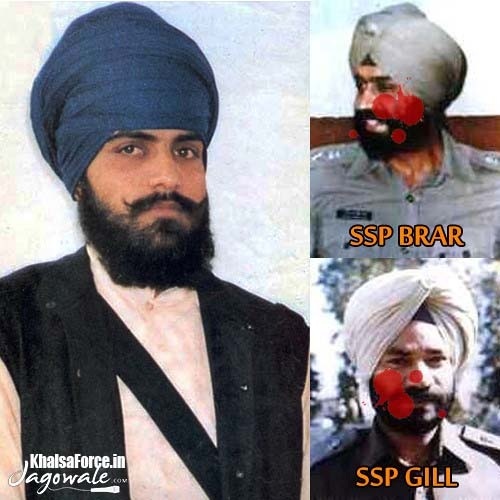 K.L.F was founded by Bhai Aroor Singh in 1986, Bhai Budh Singh Wala was appointed Lieutenant General then, Bhai Budh Singh Wala was the 3rd Chief of K.L.F. He was respected as the mastermind and most intelligent, Sikh freedom fighter. In the early morning hours on 14.12.1987 SSP Brar along with SSP Gill were busy in doing exercises for their physical fitness. Bhai gurjant singh budhsinghwala and a fellow singh put on their tracksuits pretending to be sportsmen and opened fire upon these two dusht SSP officers, as a result of which both the officers died on the spot. This kavishari vaar is a recording from 1988 and does not mention bhai budhsinghwalas name as it was kept undercover at the time of this action. A Nihang who used to live in the same village as Bhai Sahib, informed the police on numerous occasions of Bhai Sahibs actions and whereabouts. This informant helped the police arrest and torture Bhai Sahib on numerous occasions. Bhai Sahib was arrested and sent to Faridkot jail on one of these occasions. Upon release from jail – on bail, instead of going home, Bhai Sahib went directly to Shaheed Bhai Varyam Singh ‘Khapta Vale’ and became once again engrossed in seva. Bhai Sahib caught the Nihang informant and poured petrol over him and burnt him alive in the middle of the village. People of the surrounding area were happy and ecstatic at the elimination of this Nihang who caused much distress to the inhabitants of the locality. Bhai Sahib started bringing many oppressors to justice and the police started to repeatedly harass the family of Bhai Gurjant Singh. His brothers were severely tortured and subsequently jailed. 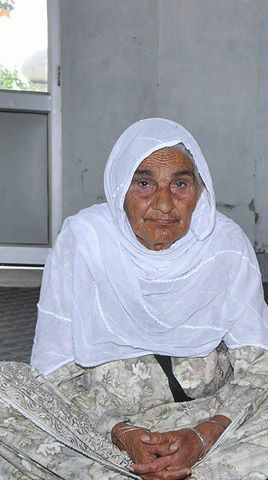 Bhai Sahib’s sister’s (Bibi Gurcharan Kaur’s) family were tortured and harassed on a number of occasions. To try to retract Bhai Sahib from his seva – the authorities used oppressive tactics of the worst kind. His paternal Uncle Chand Singh and paternal cousin Bhai Joga Singh were martyred in a fake police encounter. His mother, father, and brothers were also terrorised. But Bhai Sahib was steadfast and did not retract an inch from his resolve. After seeing the effectiveness of Bhai Gurjant Singh, the butcher D.G.P. Ribeiro got the most brutal S.H.O. Mith Singh appointed at the Bage Purane Police station, which was adjoining to Bhai Sahib’s village in Thana Baga. Bhai Sahib learnt of the atrocities meted out to his family, and after a while he made plans to avenge these evil actions. He along with his 3 associates Bhai Lakhvinder Singh Lakha village Dhole Ke, Ajmer Singh Lodhivaal and Bhai Darshan Singh Tarkhanbad, exterminated the S.H.O at the police station whilst he was under the guard of his bodyguards. After removing the S.H.O, Bhai Sahib and his associates fired at the police in the police station, but they locked themselves in out of fear and did not dare to return fire. Bhai Sahib and his associates left the police station at 7.30am with such calmness and braveness, no police official had the courage to even follow the Singh’s after they left. The newly appointed S.H.O got the very same iron-gate reinstated at Bhai Sahib’s house. Bhai Sahib put many oppressors to justice and he worked with Bhai Jarnail Singh Halivara (Longowal Kand), Varinder Singh Daka, Amar Singh Maan, Binderjeet Singh Dune ke, Manjeet Singh Mini Baba Moga, Amrik Singh Dune Ke, Kulvant Singh Kukrana, Gurmeet Singh Machaki, Manohar Singh Teera, whilst completing his missions. After the Shaheedi of Bhai Avtar Singh Brahma, Bhai Gurjant Singh was appointed the new commander in chief of K.L.F., Bhai Sahib and his associates eliminated the following oppressors: S.S.P Gobind Ram, S.S.P A.S.Brar – Patiala, S.P. Patiala – R.S Gill, S.P. Detective R.S.Tiwara, D.S.P Tara Chand Jagroan and in turn avenged the deaths of many Shaheeds. D.G.P Mangat, S.S.P Sumedh Saini, S.P Kehar Singh. Other prominent successes of Bhai Sahib were the Punjab Congress Vice President Lala Bagvan Daas who was eliminated along with his bodyguards at Jaito, ex-treasurer Balwant Singh was eliminated in Chandigarh, Magistrate Goyal Moga was eliminated after getting his armed guards to surrender and he kidnapped the Romanian diplomat L. Radu and got the message across to the global media about the Sikh struggle and state oppression. The son of the S.S.P Des Raaj Sharma of Tarn Taran was kidnapped in order to get Bhai Sahib’s associates freed from the police, this was the first time a hostage was taken for political demands in Punjab and Bhai Sahib’s friends were freed. There was a bounty/reward of Rs. 400,000 upon his head. 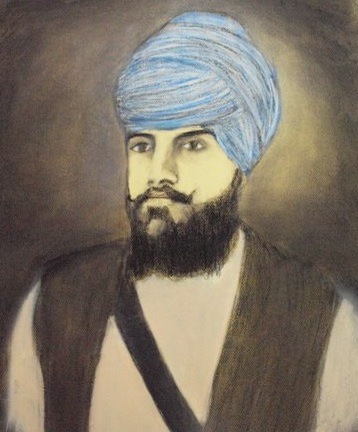 Bhai Sahib was the most wanted Sikh freedom fighter and he was believed to be the mastermind of many successful actions against the authorities. The Ludhiana police had received confirmed intelligence reports that Bhai Sahib and other freedom fighters were holding a meeting at Model town extension – in house no. 95. The police along with the assistance of the army at about 10pm surrounded the house and ordered the inhabitants of the house to open the gate, but the house owner replied that he had dignitaries in attendance. According to the police the Singh’s tried to escape through the back of the house, but the police had already surrounded the house and opened fire on the Singhs, one Singh got injured in the firing. Bhai Budh Singh Wala did once again try escaping but due to the heavy fire he was martyred in the exchange of fire. The police claimed in their press release that Bhai Sahib was martyred within the house but all other accounts of eyewitnesses said that Bhai Sahib was martyred about 50 meters from the house in an alleyway. This police operation was carried out by the S.S.P of Ludhiana ‘Chotpadhiea’ & D.S.P D.S.Gill. There were large engravements made upon the grass around the house – where the police had entrenched themselves. The police did not return Bhai Sahibs body to his relatives. Bhai Sahib was a freedom loving spirit who did not enter controversies with others and all Sikh Jathebandhi’s/Organisations respected Bhai Sahib. Bhai Sahib used to speak very little, due to which he was able to command K.L.F for a relatively long time. Bhai Budh Singh Wala was said to be wanted for 37 accomplished actions by the police. The people began to admire and respect Bhai Gurjant Singh more and more as time went by, as he was dead against thieves and robbery and he put numerous such thieves to justice. Gurjant Singh was staying with one Kaur Singh, an ex-Havaldar, at his resident in the locality. Kaur Singh testified his good morals and civilised behaviour. Mrs Kaur Singh used to identify him as her cousin. Thus, an uncle-niece relationship had developed between Budhsinghwala and Kaur Singh’s three daughters- Kamaljit Kaur, Rajinder Kaur and Harinder Kaur. He had a reciprocal friendship with the locality residents with whom he used to play games, when free. Kaur Singh, it is learnt, was accustomed to visit the local Gurdwara in the evening and used to return home before 9 PM positively. On the fateful night, he dilly-dallied to leave the place even up to 10pm, when his acquaintances left him at the Gurdwara where from he was escorted by two plain clothed policemen to the police headquarters, after 11pm. At his place, however, another drama was being enacted. At about 10.00pm, Bhai Budhsinghwala was dressing up his bed in the veranda of the house. Gurjant Singh being unarmed remained out of their way. When that party returned to the same side, he presumed that the other side was clear of the police. He left his position and came on to the road. At this juncture, he was detected and the police started firing on him from all sides. As a result of this firing Bhai Gurjant Singh was shot, he fell down and succumbed to bullet injuries, just outside the vacant corner plot.” He attained Shaheedi on 31st July 1992 at the age of 28 years. The police immediately picked-up two migrants from UP, Bishamber and Chalitter, who were eyewitness to the whole drama as Budhsinghwala had taken shelter in the plot under their occupation. They were kept in illegal custody for two days. Even when the IHRO team contacted them, they were very reluctant to tell the true story. Moreover, some other residents of the locality, who saw the whole act through their windows etc, were hesitant to disclose their identity and preferred anonymity for fear of police reprisals. On the other hand, the police have provided permanent security at the residence of Kaur Singh, though he himself is still in police protective custody but other members of his family were released a couple of days after the incident. The police has alleged that the “encounter” lasted for about one a half hour and 1056 rounds were fired and those too, mainly in a few minutes around 10.15 PM, whereas four shots were heard at 5 AM next morning. It appears that those were fired by the CRPF, so as to join the action, because according to some eye-witnesses CRPF personnel were not seen at night. The police version about two grenades having been hurled upon them by Gurjant Singh does not hold ground as nobody in the locality heard any explosion, nor did the IHRO team find signs of any explosion in the area. The weapons allegedly recovered on and near the body of Budhsinghwala were planted by the over-enthusiastic police officers, after he was killed. The residents of the colony were not allowed to venture out of their houses, right from 10 PM to 6 AM, next morning. The way an unarmed Gurjant Singh was killed by the police and was later shown to have been killed in an armed encounter, is a clear indication that in the process of eliminating the Sikhs who are nonconformists to the state, the Indian Government can throw to the winds, all Indian as-well-as universal laws and norms. Gurjant Singh Budhsinghwala, chief of the Khalistan Liberation Force, was killed on July 29, 1992 at about 10 PM in a “Police encounter” staged in the Model Town Extension, Ludhiana, while he was staying at 95/A, Model Town Extension, with one Kaur Singh, an ex-Havaldar of the Indian Army. The police version of the “encounter” is narrated in the FIR Number 135 dated 30.7.92. U/s 307 IPC, 25 Indian Arms Act, 4/5 Indian Explosives Act and 3/4/5 of Terrorist and Disruptive Activities (Prevention) Act, registered at the Police Station Civil Lines, Ludhiana at the instance of Mr Balwant Singh Gill, Superintendent Police (Detective) Ludhiana. On the basis of information to SSP Sidharath Chattopadhya that the top leadership of the Khalistan Liberation Force was to meet in Block ‘A’ of the Model Town Extension colony, in order to chalk out a programme to commit some heinous crime in Ludhiana city. I along with (a list of persons) reached the pointed house and warned the accused to surrender. Instead, they replied in heavy firing. Our party, in order to defend ourselves and to capture the accused, resorted to firing while in crawling position. Meanwhile, a suspect ascended the roof through the staircase and jumped over to the rear of the house. Notwithstanding the danger to our lives, I and the SSP, along with our posse went to the roof and jumped over the suspect. In the meantime, Inspector Manmohan Singh of CIA, along with his force, came to the fore, while crawling. And after encircling the suspect, he started firing. Finding himself trapped, the suspect managed to reach the adjoining vacant plot by scaling the boundary wall and started firing on the SSP and myself (BS Gill). He threw two hand grenades upon us, but in spite of the powerful explosions, we survived. After removing some bricks from the boundary wall, we fired, through the holes. The firing continued for about one and a half hour. When the firing ceased, we searched the area with the help of a search light and located the dead body of the suspect youth in a corner of the enclosure. One AK-47 rifle No: CC-1 x 17024475, with five live cartridges in the magazine and two empties were lying beside him. 45 live rounds of Dragon rifle were found in the bag hung around his chest. A small diary containing currency notes worth Rs. 150/- was also recovered from his pocket. Bhai Gurjant Singh Budhsinghwala, Chief General of Khalistan Liberation Force, was written on the diary. 70 empties of Ak-47 were lying near the corpse. On house search, we recovered two rocket launchers, along with rockets, 5 Kg explosive material and 3 live detonators with wire on the roof, and 35 empties of AK-47 from the courtyard. In all 951 rounds were fired by the police, the break-up being; SSP-60, SP(D)-50, DSP Narinder Pal Singh-150,DSP Nachhattar Singh-135, DSP Gurmail Singh-175, Inspector Manmohan Singh-160, SSP’s party-145, SP’s party-72 and CRPF-4. As the accused had fired upon the police party with the intention to kill them, he committed offence under section 307- IPC, 25/27 Arms Act, 4/5 Explosives Act and 3/4/5 of TADA (P) Act and this document is sent to the police station for registration of the case. The latest interview of adorable mother of khalistan libaration force chief general Amar Shaheed Jathedar Gurjant singh Budhsinghwala ji on jathedar Budhsinghwala shaeedi smagam 29 july 2015 . SP Baljeet Was Killed Yesterday In Gurdaspur ; What Basis is Baljeet a "shaheed"? SGPC Will File Lawsuit Against CBSC in Court For Compelling The Sikh candidates To Remove Kakars (5K's) during the AIPMT Test.